Dorset Dogs champions positive management for people with dogs in town, coast & countryside and promotes responsible dog ownership. What we believe - Dogs are wonderful for people's physical health and emotional well-being and if that goes hand in hand with responsible dog ownership there are brilliant benefits not just for people but also for the value, care and future protection given to our countryside and green spaces and the wildlife that live there. Who are we? - Dorset Dogs was set up by a group of land managers who were also dog owners. The Great Heath is a historical name for the vast heath that used to stretch from Purbeck to the New Forest. Today the picture is rather different, with much of the heath having disappeared through building of houses, businesses and roads, agricultural changes and planting of forests. The remnants of this landscape with its scattered heaths, grasslands, woodlands, rivers, ponds, harbours and other urban greenspaces and gardens still make up an amazing wildlife resource, with significant areas of national and international importance. The area has been described by Natural England as one of the most important areas for wildlife in the country. Local charity based in Wimborne who have provided us with bat boxes and expertise. Their website is full of fascinating bat details and is well worth a visit! A great site packed with local information and news updates. The Castleman Trailway runs through Cannon Hill & Uddens Woods. 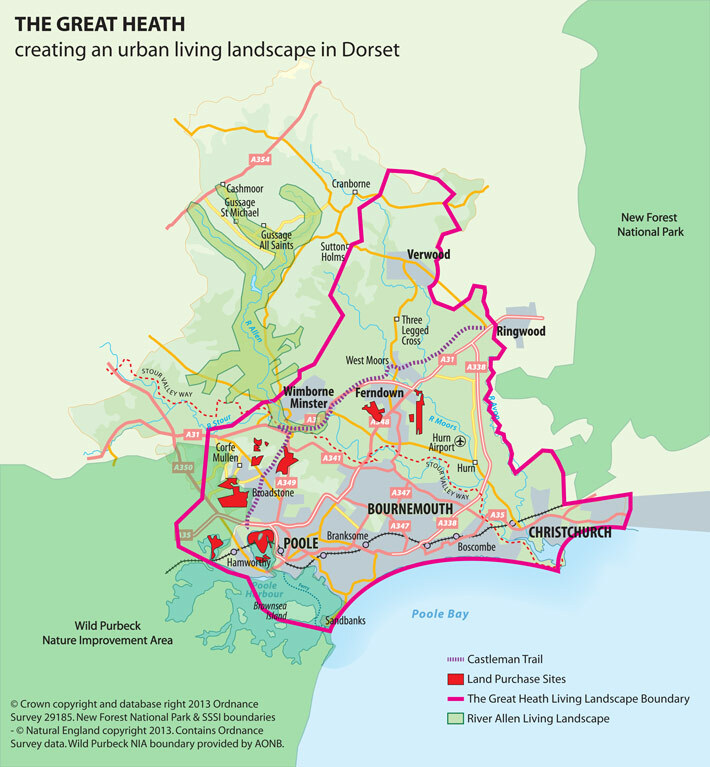 The trailway is the responsibility of Dorset Countryside, part of Dorset County Council. If you use the trailway and believe that this development will effect how you use it, it is important that you let the Trailway Ranger know. A project led by the Woodland Trust to promote and protect our woodlands. Follow the link to visit our woodland, you can even rate it and add a comment! England’s natural wealth for the benefit of everyone. Thats what their website says, we will be contacting them soon to see if they can help us! The BHS is the UK's largest equine membership organisation.